This Beautiful and SOUGHT AFTER GROUND FLOOR is on the WEST side of OTOW in Building 79 is near the beautiful lakes, walking trails, fishing, community pool, gym and dog park! 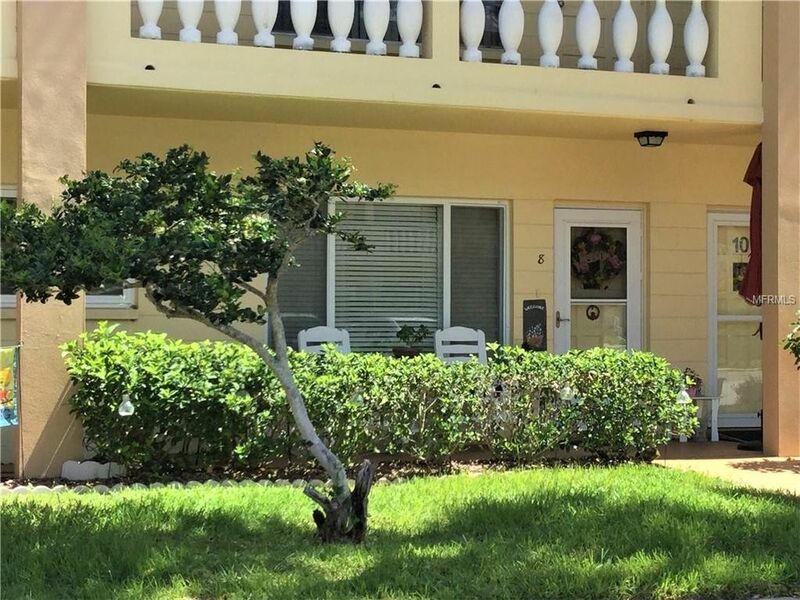 This unit has 2 bedrooms, 2 full baths, a living room, a dining room, a family room, and an eat-in kitchen! Plus it enjoys a front porch for visiting all your wonderful neighbors AND a large back patio that has a large open courtyard view! NEWER HURRICANE WINDOWS throughout, CERTIFIED WASHER AND DRYER IN THE UNIT! AC, appliances and water heater all updated within last few years. Ceramic tile and Berber carpet enhance this light and bright move in ready home. An assigned Parking spot is right at your front door. INCLUDES ADDITIONAL STORAGE LOCKER. Land Lease. Call Now to take advantage of this priced to SELL unit. INVESTORS - NO WAIT TO LEASE. OTOW is an active 55 community with 2 pools (one heated), 2 golf courses (free golf for residents!) newly remodeled CARDIO GYM, dancing, fitness classes, hobby studios, entertainment, billiards, and so much more. The Good Karma Cafe even provides "take and bake" homemade meals and snacks! OTOW is centrally located close to the beaches, shopping and Tampa International Airport! Directions: BELCHER ROAD TO TOP OF THE WORLD , TURN WEST TOWARDS GUARD HOUSE, LEFT ON THEN RIGHTON SWITZERLAND TO 2226 SWITZERLAND WAY. PARK IN DESIGNATED GUEST PARKING SPACE MARKED WITH A V . THE OWNERS SPOT IS #8 DIRECTLY IN FRONT OF UNIT.